This is a sponsored post by TradeStation, written by Travis McGhee. Anyone who has served in the military knows what it means to prepare for a mission and implement a plan to achieve a desired objective. They also know that discipline is the key to accomplishing that mission. In many ways, trading is the same. Those who can develop a solid plan and pursue that plan with discipline also have the ability to develop a successful investing strategy. That may be why trading has become a growing part of U.S. military culture. 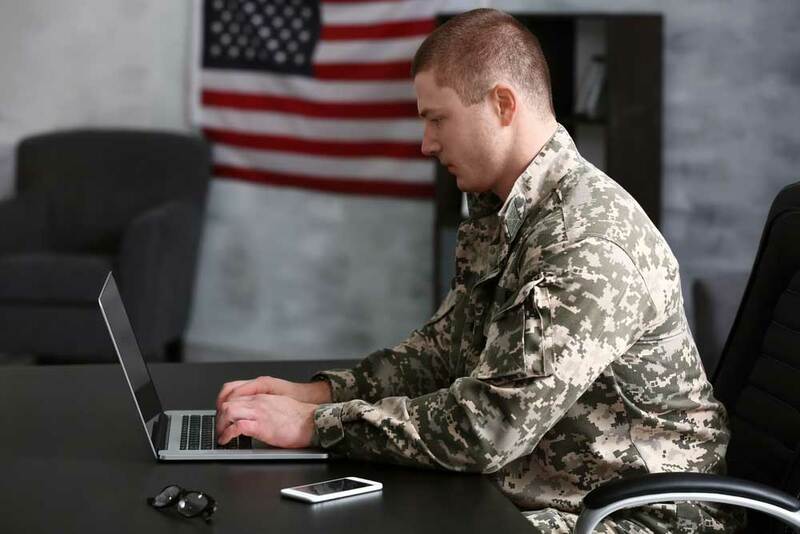 Increasingly, active military and veterans are showing strong interest in online trading. This was certainly true for me when I was first exposed to the power of online trading during the summer of 2001 on the USS Austin LPD4, docked in Norfolk, VA. With a tremendous amount of downtime on my hands, I quickly found myself using it to explore the financial markets. Other guys on the ship had been trading the boom and bust of the dot.com bubble, so it was not hard to fall into the conversation in such tight quarters. Today, with the Internet allowing 24/7 access to financial markets around the world – and on all kinds of devices – many active-duty military personnel are doing what I did. This trend only makes sense: their training and experience, especially with removing emotion from decision-making and reducing risk, equip them well to be traders. Two things that pose serious risk to investors are the same things that create risk on the battlefield: lack of discipline and the inability to control emotion. At TradeStation, we have made it our mission to help active military and veterans access the financial markets with confidence, at as low a cost as possible. Under our new TradeStation Salutes program, we are offering active-duty service members commission-free trading, free access to real-time market data and waiving all inactivity fees. For veterans, we are waiving inactivity fees and offering TradeStation’s lowest per-trade commission rate: $4.99 per trade, plus 30 cents per contract. In addition, we are providing them with a powerful educational program that is tailored to their background and experience. This program starts at the beginning, with financial and trading basics, and leads them step-by-step as far as they want to go. TradeStation’s rules-based strategic approach dovetails perfectly with the lessons that are hammered home by our military. Traders who were trained in the military tend to use investing programs they have defined themselves – and they tend to succeed because they stick to those programs. Members of the military are fast learners, and like anyone, need help transitioning to a post-military life of financial planning and investing. Unfortunately, it seems as if many investment firms assume those leaving the military don’t have the financial resources to trade, and as a result they are typically overlooked. Our objective is to build a bridge between the trading and armed services communities. Financial security is important to everyone, and we want active military and veterans to have the knowledge and tools they need to achieve their financial goals. When you hire a contractor to work on your home, you expect high quality results and top-notch service. Of course, what you expect and what you get may not be the same thing. In addition to costs, you also have to ensure the contractor completes the job the right way. If problems arise, you may have to initiate a dispute with your contractor. Unfortunately, settling a dispute with a contractor can be difficult, uncomfortable, and stressful. The way you approach your dispute helps determine your success. Before the project gets underway, both parties should sign a contract. The contract protects you and your contractor in the event of a dispute. Make sure both parties adhere to the terms of the contract. While most contractors have a standard contract, in some instances you may have to supply your own contract. If your contractor will not sign a contract, move on to another contractor. If delays or problems occur once the project begins, sit down with your contractor and review the contract together. Once you have reviewed the document, determine the next steps to get the project back on track. Don’t jump to conclusions or assume your contractor wants to default on your agreement. Your contractor may have legitimate reasons for changing the terms of your agreement and may not realize you need regular updates about changes to the project. Your contractor won’t know about potential issues unless you voice your concerns. Try to avoid using an accusatory or confrontational tone when you begin the discussion. Instead, explain your concerns to the contractor without using threats or expressing judgment. Mix-ups and hold-ups can happen; give your contractor an opportunity to provide reasons for project delays or changes. A simple conversation may fix the problem and get the project back on track. What Do You Propose We Do to Solve the Issue? This question allows you to dig deeper and puts the contractor on the spot. The contractor may have a workable solution that resolves your dispute. Would You Like to Review the Contract? Work contracts have no gray areas; the contractor must complete the agreed upon work to fulfill the contract. Once your contractor knows you want to take a closer look at the contract, he or she will more than likely offer a potential solution to the dispute. What Can I Do to Help? Many people don’t want to offer the contractor assistance because they don’t think they should have to do anything. However, your contractor may benefit from your intervention. Showing your contractor that you want to help may make things much easier on both parties. What Should You Get for Your Money? Explicitly state the terms of the project in the contract. Review the terms of the project with your contractor to ensure the contractor addresses each of the items listed in the contract. For example, the contract to paint a house should include a general project overview, and details about specific additions or exclusions like doors, windows, and trim. What Are the Payment Terms? You can negotiate the payment terms of your contract. If possible, avoid paying 100% upfront. If you do this, your contractor works from a position of power. On the other hand, when you hold the money, you hold the power. You can withhold payment if the job is not completed to your satisfaction. Dealing with a contractor dispute can be difficult. Unfortunately, this may arise if you hire a contractor. Remember, a contract is a must. Never hire a contractor without first reviewing and signing this document together. In addition to stating the terms of the project in writing, communicate regularly with your contractor to make sure the project stays on budget. Open lines of communication help you deal with problems and issues as they arise and can eliminate the need for a dispute.